A beautiful mid-century modern inspired bassinet for your baby! 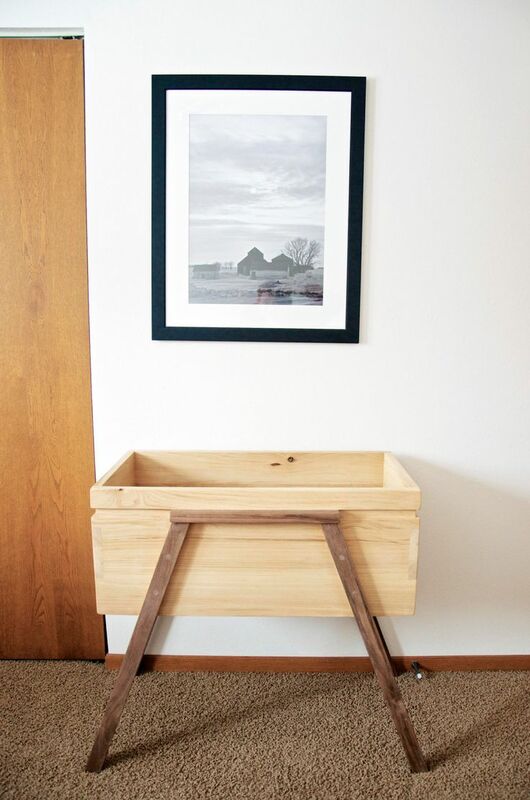 Handcrafted Bassinet made with 100% American Harvested Ash & Walnut by turnerandbranch. Dark wooden baby bassinet for a perfectly joyful sleep.